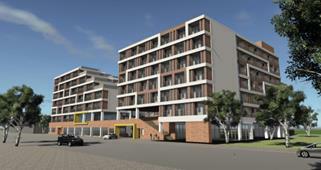 The city is implementing development measures for the activation of public rental houses and its continuous supply through the system of new-concept public housing. The city plans to supply diverse innovative public houses to meet various consumer demands. Consumer-customized: cooperative public studio for child care and artists , Welfare service-associated: medical safe residence and jjokbang (tiny single room) remodeling , Low-cost, high-efficiency: Modular houses under highways, recycling old government offices. The Seoul Metropolitan Government is responding to changes in demand by improving systems through the systematization of innovative public housing, establishment of special regulations on public house construction, and regulation of mandates following the amendment of higher laws such as the Special Act on Public Housing. Seoul will establish a new 6~10 years’ move-in/move-out cycle system according to the life cycle of tenants and will operate rental houses offering convenience and activated community. Seoul will lead the supply of public rental houses in cooperation with the district offices, such as expanding house supply through the support of the central government, making the construction of rental houses and culture/welfare facility complex compulsory; , paying a differentiated amount of subsidies to districts in proportion to their possession of rental houses. To overcome the limitation of public rental houses, Seoul is encouraging semi-public and private rental houses, easing regulations and financial support such as tax and national housing fund, and promoting corporate-type rental service providers. With the housing market demand moving from owning to renting houses, Seoul will take proactive measures and ensure residential stability by implementing differentiated rental housing policies depending on the citizens’ income. The Seoul Metropolitan Government will continuously operate the “clean apartment project” to reduce maintenance fee bubbles and conflicts between residents and apartment management staff by disclosing information, activating the village community culture, and investigating the actual condition of apartments and complexes. Seoul will improve the search and comparison function of apartment maintenance fees at the “total information community site” and provide its mobile services to remove maintenance fee bubbles; it will suggest “construction expenses guidelines” for different kinds of construction services, make consultation with professionals compulsory, disclose information by publishing the maintenance fee reduction manual and offering related education, and encourage citizens’ participation. Furthermore, the city will support the formation of neighborhood noise regulations, mediation committees, professional consultants, citizen-suggested community projects (cooperative, rooftop vegetable gardens), exemplary contests, and operation of apartment maintenance schools for residents, provision of customized consulting and counseling by community professionals, and activation of village community to improve the quality of life of citizens and to resolve conflicts. The Seoul Metropolitan Government strengthens the residential safety network for citizens by protecting tenants from problems arising from housing market changes and by easing the burden of excessive housing expenses through rental consultations, adjustment, loan support, and legal help at the rental security deposit support center. 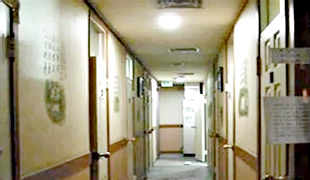 The Seoul Metropolitan Government also takes proper measures for rental houses (lease on a deposit basis or monthly rent), such as controlling maintenance periods by considering moving demands, market analysis and provision of information, rental expense subsidy (housing voucher), and expansion of financial support (cooperation with the central government), including activating citizens’ use of the rental deposit assistance center by expanding citizen support services, developing new programs, and improving related systems. 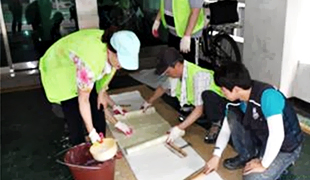 Seoul is currently expanding its residential welfare measures by providing systematic support for the residence-marginalized and constructing a residential welfare system through financial support, improvement of facilities, and construction of community space. Seoul is expanding its housing voucher program in relation to the central government’s housing voucher program and strengthening financial support such as providing housing rental fee loan support for the low-income class with no house as well as security deposit support for pre-residents of public rental house. In addition, the city is working on diverse welfare systems by building the P2P, P2B cooperation program using regional networks as well as empty houses as artists’ creative space, group workshops, and village cultural space. Seoul is also doing its best to install firefighting facilities in gosiwon (studio-type apt. ), where the most vulnerable class are living (50% or more), and implementing the “Hopeful Housing Repair Project” with citizens and public agencies continuously to improve the housing environment for the residence-marginalized. The Seoul Metropolitan Government improves its management system through the integration of types of rental houses and helps residents become self-reliant. Furthermore, the city keeps operating measures for improving rental houses where people want to live by easing people’s burden of residential expenses through resident-centered management and by realizing a welfare community. Seoul will expand move-in opportunities for citizens by charging housing rental fees differently for people with different incomes and induce natural social mix with a variety of ages and classes by preferentially offering 10% of public rental houses to newlyweds and families with several children and by changing related laws; thus having a mix of different ages and social classes live in the same apartment. 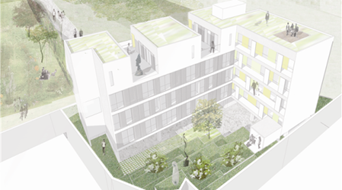 The city is promoting a rental house residential welfare total management system to construct an integrated DB management system that can find residents in the welfare dead zone, investigate duplicated beneficiaries, and establish suitable welfare facilities suitable for the distribution and characteristics of residents. The Housing Policy Office of Seoul will do its best to implement housing administration through communication and sharing.